For outdoor recreationists, Utah should be paradise. Its vast craggy landscapes, rugged sandstone rock formations, and peerless western views are the ultimate playground for almost any outdoor enthusiast. But earlier this year, after months of public fighting with state officials over public land issues, the outdoor recreation industry decided it’d had enough. In February, the semi-annual Outdoor Retailer event announced that it was taking its show—along with its 40,000 visitors and estimated $45 million in annual spending—elsewhere. 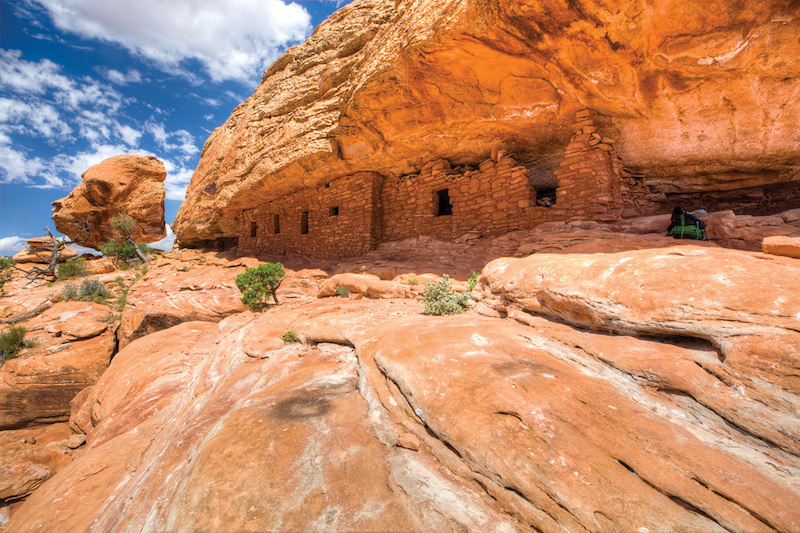 While the catalyst for the move was furor over Bears Ears, the national monument designated by President Barack Obama in late 2016, the outdoor industry has feuded with Utah’s elected representatives over public land policies for years. The state has long sought more control over the land within its boundaries, two-thirds of which is owned by the federal government. 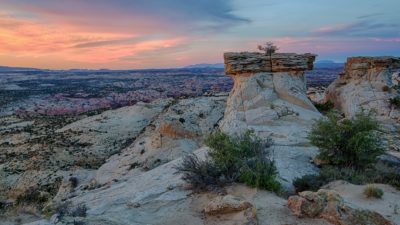 The Outdoor Industry Association, the sector’s trade group and title sponsor of the Outdoor Retailer event, has opposed such efforts, arguing that public lands “provide the backbone of the industry’s sales.” When Utah’s governor signed a resolution from the state legislature demanding that the monument be rescinded, Outdoor Retailer decided to pull the plug. Chouinard has a point. His industry largely depends on the public lands that provide opportunities to hike, camp, and enjoy the outdoors—especially in the American West, where the federal government owns nearly half of the land. But his sentiment also revealed an uncomfortable reality: Despite growing interest in outdoor recreation, there is relatively little dedicated funding for it. In economic terms, the demand for hiking, climbing, viewing wildlife, or simply enjoying nature on public lands is far too disconnected from funding the supply of it. And the revenues that do come from recreation—whether from private manufacturers and retailers or public land agencies—don’t directly fund the management and stewardship of those resources effectively or sustainably. This disconnect creates a big challenge for the outdoor industry: How can it ensure that the recreation opportunities it depends upon continue to be provided? Should it simply lobby the federal government, like any other interest group, for greater public land protections? Or, given the changing political winds and trends toward more crowded parks and woods, should it come up with better mechanisms to support recreation directly—perhaps by borrowing a lesson from hunters and anglers? Roughly half of all Americans participate in outdoor activities, a rate that has held strong for a decade. When it comes to the crown jewels of the federal estate—national parks—visitation figures have set record highs for three years running. It’s little surprise, then, that the outdoor recreation industry has become an economic force. The Outdoor Industry Association estimates consumer spending on outdoor recreation at $887 billion, an amount that exceeds Americans’ spending on fuel and pharmaceuticals combined, as the group is quick to point out. Amidst the recent public lands disputes, the group is becoming a political force as well. It has hosted events on Capitol Hill and paid lobbyists to promote policy issues, particularly when it comes to expanding public lands protections. 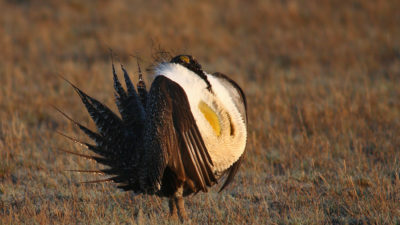 But despite the industry’s sizeable revenues, the fleece-and-pack segment of it contributes relatively little direct funding to support recreation on public lands, at least when compared to its hook-and-bullet contingent of hunters and anglers. Spending on outdoor recreation may generate tax revenue, but it doesn’t directly fund recreation in the way that fishing and hunting do. That’s because hunters and anglers have “paid to play” for nearly a century. They not only purchase licenses, stamps, and tags, which generate revenues for state fish and wildlife departments, but they also pay federal excise taxes on guns, ammunition, fishing gear, boat fuel, and similar items. Last year, revenues from these excise taxes generated $1.1 billion. The funds are distributed through the U.S. Fish and Wildlife Service to state wildlife agencies for causes like wildlife conservation and habitat restoration. Hunters and fishers themselves lobbied for the first of these excise taxes in the 1930s, as fish and wildlife budgets were being stretched thin in the wake of the Great Depression. 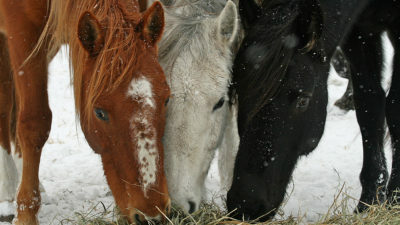 Since then, they’ve generated more than $18 billion for conservation purposes. And even though they were designed to help game species, whether whitetail deer or brook trout, the conservation benefits from these funds improve forests, streams, and the wider environmental landscape. The upshot is that hikers, climbers, and all recreationists reap some of the rewards generated by hunters and anglers. While state wildlife agencies have significant amounts of dedicated revenues to bolster conservation budgets, federal land agencies do not. Instead, agencies like the National Park Service and the Forest Service have to clamor for more money in front of Congress—often unsuccessfully—rather than rely directly on public land users for funding. To date, the outdoor industry has resisted pay-to-play mechanisms to fund recreation. One that’s been mooted recently is a so-called “backpack tax” that would tap into the steady demand for recreation and the apparel and gear that accompanies it, similar to the excise taxes paid by hunters and fishers. The tax would apply to outdoors equipment—potentially anything from climbing ropes and ski poles to fleece jackets and backpacks—and its revenues would help fund trail maintenance, visitor centers, and other recreation infrastructure. Similar schemes have been proposed over the years, but no widescale policy to fund recreation in this manner has been adopted. 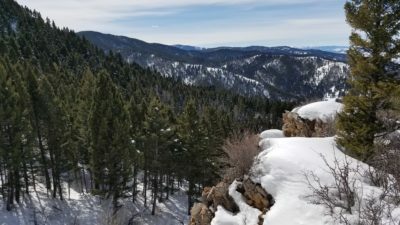 In economic terms, the demand for hiking, climbing, viewing wildlife, or simply enjoying nature on public lands is far too disconnected from funding the supply of it. Nevertheless, the recreation industry demands the government provide ample opportunities to enjoy the great outdoors, even as it hasn’t stepped up to pay its share. The Outdoor Industry Association in particular has been fighting versions of a backpack tax for two decades. 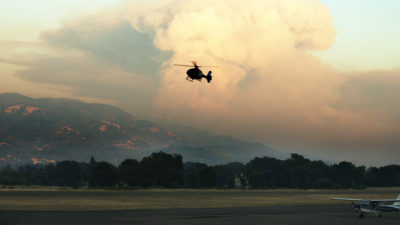 The group argues that Congress and states should instead “protect and adequately fund our public lands, waters and wildlife, and ensure access to the diverse outdoor activities they support”—essentially, pushing for the status quo, whereby recreation interests compete over scarce tax revenues along with every other special interest gracing the lobbies of Capitol Hill. So far, that political strategy hasn’t worked all that well for the industry. Legislators haven’t proven willing to allocate adequate funding for recreation on public lands. For instance, amidst record visitation, the National Park Service faces $11.3 billion of overdue maintenance projects across its system. Yet Congress continues to appropriate a fraction of the funding needed for park maintenance each year. As a result, the maintenance backlog has grown by nearly one-third over the past decade. Likewise, the Forest Service has a $5 billion backlog of its own. Clearly, when it comes to national parks and forests, fickle political funding streams haven’t delivered for the outdoor sector. That lack of funding has real consequences, especially in light of the increasing numbers of visitors. By some estimates, more than half of the roads and trails that we rely on to get to natural landmarks and wilderness have fallen into disrepair. Putting off park maintenance for years means that sewage ends up leaking into prized rivers and streams, as has happened repeatedly in Yosemite. 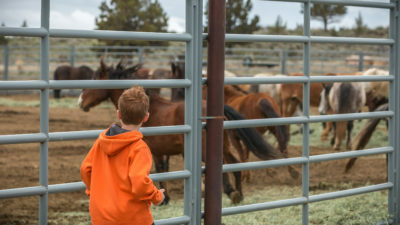 And providing opportunities for recreation on public lands often precludes other uses of those lands, whether for grazing, timber harvesting, or energy development, resulting in foregone revenues from those activities. While a backpack tax modeled on the excise taxes hunters and anglers have paid for decades may sound intriguing, there’s a much more direct—and fair—way to fund recreation: have the people who hike, camp, climb, and enjoy public lands pay for that use in the form of recreation fees. Federal agencies can and do charge recreation fees—to a limited extent. The Federal Lands Recreation Enhancement Act gives federal agencies the authority to charge user fees and retain the receipts within the agency. The law even requires that a minimum of 80 percent of fees collected at a given site must be retained and spent on projects at that site. But there are stringent conditions on where the fees can be charged and how they can be structured, modified, and collected. Park superintendents and reviews by the Department of the Interior and the Government Accountability Office have noted how arduous and inflexible the processes are for setting fees and getting approval to spend the revenues from them. Given these challenges, perhaps it’s no surprise that most public recreation sites charge no fees at all. Only about 2 percent of Forest Service sites charge fees under the act; about 1 percent of sites overseen by the Bureau of Land Management do. And while the National Park Service recently proposed ramping up its entrance fees during peak season for 17 popular national parks, fewer than half of the more than 400 sites managed by the agency charge fees. Currently, revenues from recreation fees make up only about 6 percent of the agency’s budget. The meager funds raised through the act are far too little to cover operations, let alone longer-term maintenance. Recreationists for the most part get a free ride, which makes little sense considering the demographic makeup of the people who visit national forests and parks. The Forest Service has reported that nearly one-third of visitors in recent years had household incomes of $100,000 or higher. A 2013 study by researchers from the University of Idaho found that the median household income of summer Yellowstone visitors was $75,000—nearly 50 percent higher than the national median. Yet currently, all American taxpayers subsidize their recreation on public lands. 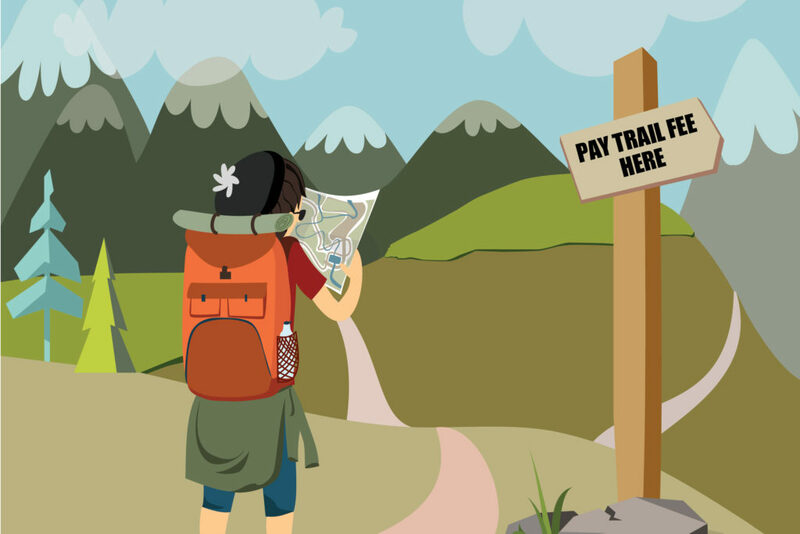 Modest fees could also help fund overdue maintenance, improve facilities, and expand trails in forests, wilderness areas, and other recreational lands. And because federal land agencies can retain user fees—instead of having to send them to the U.S. Treasury—they can channel fee revenues to the things that matter most to them and their visitors, rather than to politically driven projects determined by Congress. At times, outdoor enthusiasts have lamented the outsized political clout that they claim oil and gas interests, or even hunters and anglers, have relative to them. “Right now outdoor recreationists aren’t really paying into the system, and it shows,” a columnist for the Jackson Hole News & Guide noted earlier this year. “We don’t get a lot of respect from our government so our voices often go unheard and our needs unmet.” User fees offer a potential foothold for recreationists. Take the national forests, where last year’s revenues from timber harvests nearly doubled those from recreation—$144 million to $80 million—despite the fact that there were approximately 148 million visits to the forest system. Imagine if every visitor had paid a dollar for each visit. That additional $148 million in revenue would go a long way toward upkeep and improvements in national forests—and it would outstrip the revenues from timber sales. And if the outdoor industry has learned anything from its forays into congressional offices, it should know what serious recreation funding would likely mean: a chance to call more of the shots when it comes to public land management. Chouinard started Patagonia as a plucky company that made pitons, carabiners, and other climbing equipment in a tin shed. He’s now a billionaire, and the company has the cash and clout to tout its public-lands agenda in a $700,000 media campaign to support the Bears Ears monument designation. The best example of its visibility, however, may be the full-page “Don’t Buy This Jacket” ad it ran in The New York Times on Black Friday in 2011. Patagonia explained that it felt the need to “address the issue of consumerism” head on, noting in part: “Businesses need to make fewer things but of higher quality. Customers need to think twice before they buy.” Even if Chouinard doesn’t like the term, the impetus for the ad was, in a word, sustainability. But calling to set aside more and more lands for recreation while ignoring how we’re unable to properly care for our existing parks, forests, and wilderness areas isn’t just unsustainable—it’s irresponsible. Maintaining trails and roads, developing campsites and boat launches, and building infrastructure to host the hundreds of millions of annual visitors to public lands requires real funding. There’s no reason that visitors to Bears Ears, for instance, couldn’t pay a modest entrance fee—perhaps to help fund protection of the Native American sites and artifacts there—or that climbers couldn’t pay to access world-class routes like those found at Indian Creek. At recreation sites across the country, fees paid by hikers, bikers, kayakers, and other visitors could support upkeep of existing amenities or fund entirely new facilities—or maybe even bankroll the acquisition of new sites devoted to recreation. That would also tie the success of the outdoor recreation industry to the public lands it depends upon. Ultimately, revenues from a wide variety fees could help ensure that public lands are properly cared for and that recreationists have ample outdoor opportunities. In a nation as large as ours, different people will always have different preferences about which lands should be actively drilled, logged, or grazed and which ones should be open only to recreational use. Once hikers, climbers, and recreationists of all stripes are putting their money where they play, and helping fund recreation on public lands adequately, they’ll have a much better case for setting aside additional lands for recreation. And if that happens, fights over whether to limit more public lands to recreation could actually become a lot easier for the fleece-wearing crowd—their packs would be filled with the heft of the funding they’d be contributing to public lands. 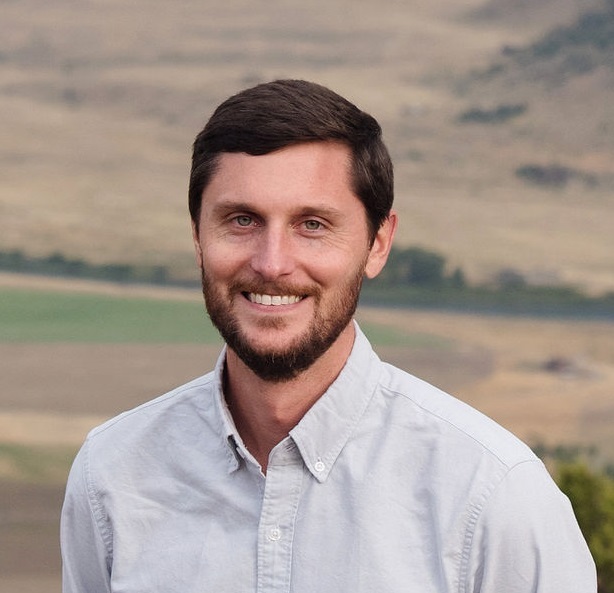 Tate Watkins is a research and publications fellow at PERC. He is also managing editor of PERC Reports.